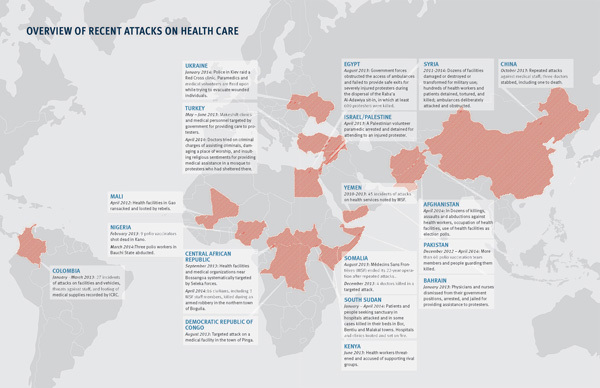 The escalating level of attacks targeted against health care must be recognized as a critical human rights issue. Global and national human rights institutions should take action to ensure that practical steps are taken to protect health workers and facilities, and protect access to health care for all who need it. Join us in sharing information from the report.